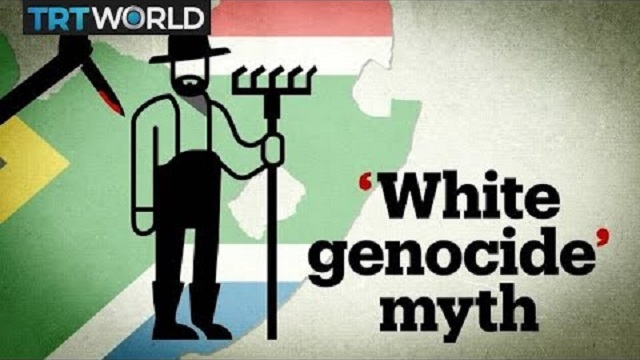 Turkish state broadcaster TRT World released a video last week stating "white genocide" is a "myth" and there's "no reliable data to suggest white farmers are being targeted" in South Africa. "The story of white genocide is actually a myth," TRT World says. "South Africa has one of the highest murder rates in the world. Its government says that the farm attacks are just part of a greater violent crime problem and there's no reliable data to suggest that white farmers are targeted more than anyone else." "So, while white farmers have historically been the victims of attacks and while the murders have been brutal it's not clear that they are racially motivated," TRT World says. 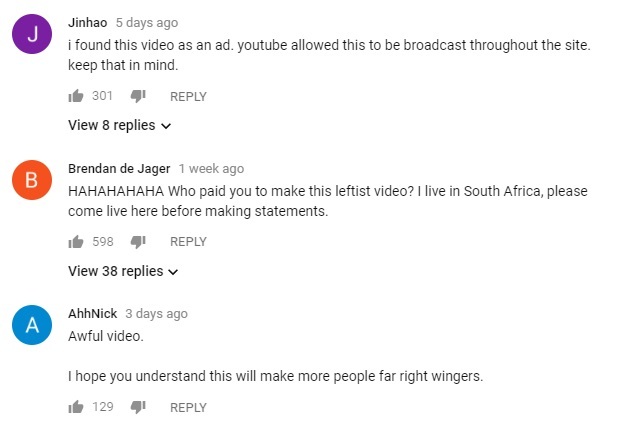 The video ignored the fact the South African government is currently moving to amend the constitution in order to "legally" seize white farmers' land without compensation. As PoliticsWeb.co.za reported in May, based off data from the Transvaal Agricultural Union you're "looking at an overall murder rate for the white farming population of around 51,2 per 100 000 (1.6 times the national average) and of �white farmers� alone of around 108 per 100 000 (3.2 times the national average.)" Incidentally, the Turkish government also denies the Armenian genocide, the Greek genocide and the Assyrian genocide -- all of which were carried out by Turks under the Ottoman Empire.